Vance Haugen Featured on the Cover of Modern Material Handling? 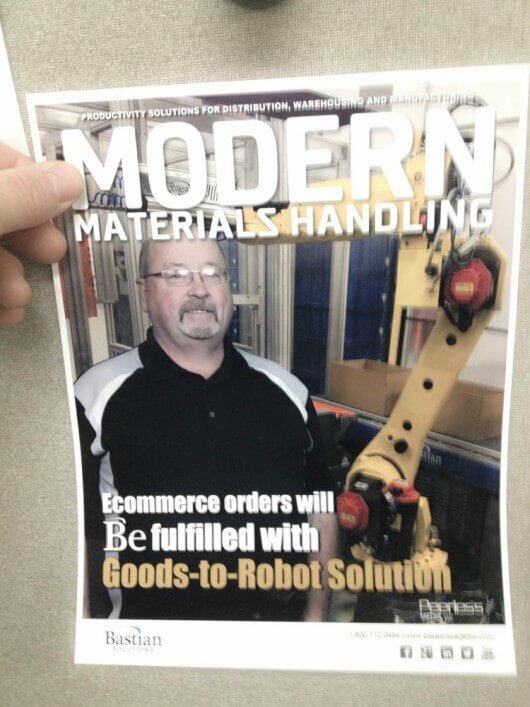 Vance Haugen’s dream of being featured on the cover to Modern Materials Handling finally came true last month. Well sort-a! Vance stopped by their booth during ProMat this year and the gang there did this mock up conveyor for him to take home and put in his office. While it’s not exactly the April issue, everyone here thinks you look great on the cover Vance. Our Friday morning cooking crew has returned with yet another gripping episode of Rusty Iron Chef. 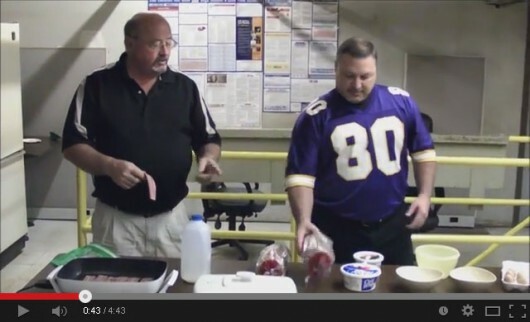 This time, Master Chef Vance Haugen and Sous Chef Jim Sinz put their talents to work making french toast and bacon for the hungry SJF office team. As a bonus – Vance shares his special homemade syrup, and Jim teaches us how to make another delicious topping. Will they pull it off?